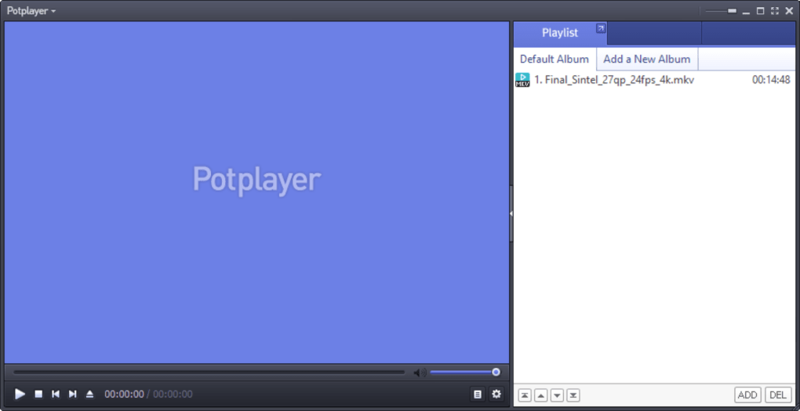 potplayer 32bit is a media player that is free to download and use. Unlike most media players that are also free to use, this software comes with more features, which promises to make it possible for users to adapt their media content to their specific needs. One of the great things about potplayer 32bit is that the software supports a large number of media file formats including special 3D films and other types of files that most free media players are unable to deal with. This means that people who are looking for a way to play specialised media files may well find that this is the perfect solution. There are also some great features that are just waiting to be utilised such as the cool looking dark default theme and the multiple audio streams for people who are watching media files in more than one language, while the overall look and performance of the software is first rate. As promised, potplayer 32bit comes with a huge range of features, which can be a real plus for certain users. The only downside of all these features that potplayer 32bit comes with is that many of them can take time and trouble to learn. People who are not experienced with using software of this type may find that the learning curve is rather steep.